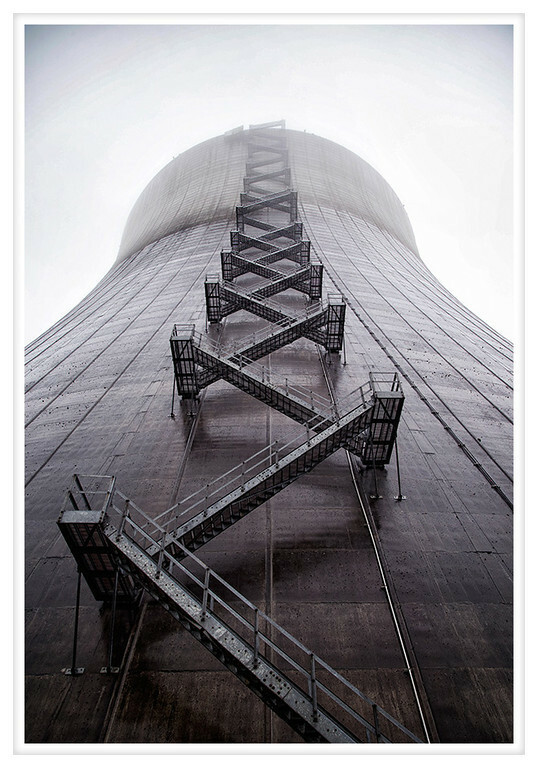 Under normal circumstances we would have been allowed to climb to the top of the cooling tower but because of the rain they were reluctant to permit the climb. Amy Heiden was probably the most disappointed in the group but because there was so much high fog the visibility wouldn't have been very good although I suppose that might have made things interesting as well. Nevertheless, we all had fun trying to capture the massive scale of these monolithic structures. When I was looking at the tower these stairs reminded me of a giant zipper in appearance.